Multi Fuel inset stove suitable for burning wood and most approved, manufactured smokeless fuels. 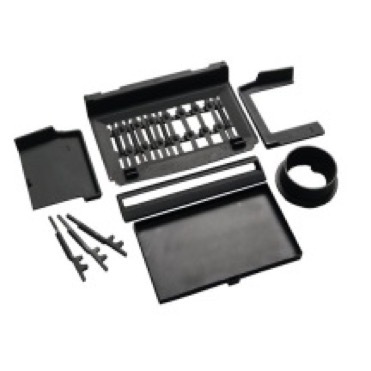 - Tested and approved to European Standard EN13229. - Airwash system to maintain clear door glass. - Double-skinned construction uses natural convection to gently circulate heated air around the room. 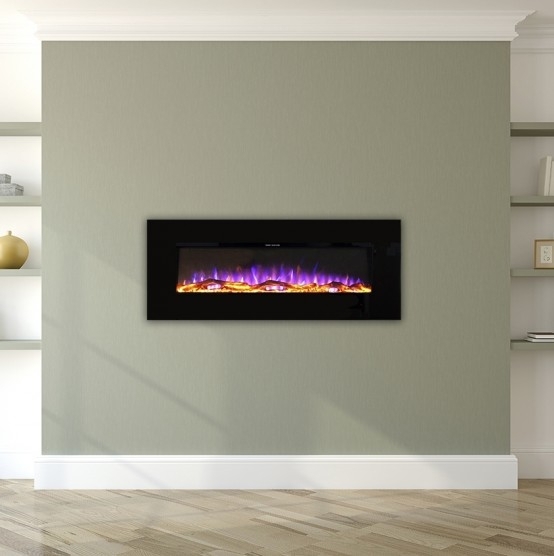 - Designed to be used in a standard 16" fireplace opening. 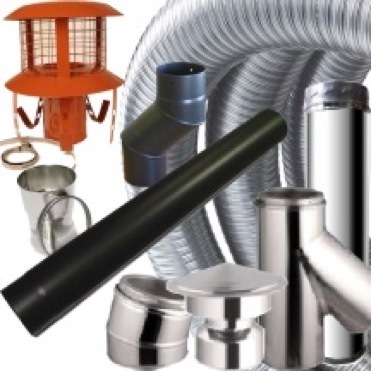 - Can be installed without a flue-liner in a suitable, good-condition chimney. - Supplied with a heat resistant mitten. Will this stove work well with out a pipe fitted to the back of it? Yes, this stove can function effectively with or without Flexible Flue Liner attached, depending on whether your chimney requires lining or not. I presently have a full marble fireplace, backpanel and surround and recently removed the old gas fire. Would the Dimplex Westcott Inset Multi Fuel Stove crack the marble with the heat output or should it be safe enough to use? I am getting different opinions and unsure whether I can go ahead with this or not. I paid a bit of money for the fireplace 16 years ago and it is still in excellent condition so would prefer not to replace it, but I really want a stove instead of going back down the gas fire route and an electric fire will definitely not suit given it is an old house. Thanks for your help. Hi, It will depend on the type of marble, some more veiny types are particularly prone to cracking. Expansion joints could be added or if they are there already it may be fine. I would recommend you get the opinion of a good fireplace fitter. With this type of inset stove the back panel and area above the stove will become hot. This is because of the hot air rising from the convection vents at the top of the stove. Hi, No, you can never fit a stove to a chimney with a narrower diameter than the outlet on the stove. The Dimplex Westcott 4kW inset fire was easily installed without any modification to our standard fireplace, other than fitting a 'made to measure' 3 sided metal frame around the opening (which was required to achieve a good seal against the uneven rustic brickwork surrounding the fireplace). A metal flue liner was not needed as the existing flue is of fairly modern construction with 7" diameter concrete liner. Following the recommended 'running in' period the fire performs quite well for it's size and stated output, It was originally bought to provide a focal point and supplement the central heating in a 6m x 5m living room (for which the stated output is really too low), but we found that once it gets going it will just about keep the room warm (in December) without having the central heating on. The only downside is that it takes a while to get up to temperature, and relatively small logs have to be used (about 9" long will fit in the front part of the fire, but shorter ones have to be used at the (narrower) back. Service and communication from GR8 Fires was good. The price we paid was very competitive. The delivery chap conveniently backed into the drive and we unloaded the pallet together. as this is a two man job! A generally satisfied customer! Excellent little fire . Has made such a different to our heating bill. If ran on coal it gives of more than enough heat to warm the whole house and it was almost £100 cheaper from gr8 tham other online retailers. Good service, good delivery and a good product, what more could you ask for. After some research I decided to go with this inset burner as it seems to give me everything I was looking for, that being fits into existing fireplace, glass door and airflow control. Have been using it lightly as we have a coldish house and it warms up the room very nicely. It is a lot more efficient than my open fire and looks a lot better to. Would deffinetly recommend this to anyone. The delivery driver was super helpful and help me get it to my front door, in short I love this inset and would 100% recommend gr8fires. Great service, at a reasonable price. Ordered Monday arrived Thursday. excellent all round .we are extremely pleased with service and promptness. great consideration of delivery man to the fact that we are oldies. would recommend to everyone to deal with you. GR8 Fires were very good, helpful and courteous, the delivery was appalling! The delivery driver unloaded the fire on the drive in the rain and drove away! My partner and I (who are retired) were left with a fire weighing in excess of 60 kilos ! Gr8 fires reply: Sorry for the disruption caused by the delivery. All our pallet deliveries are currently delivered kerbside as stayed at the checkout. Brilliant service, fast delivery, and amazing after sale service, highly recommended! Great service from G8 fires and also delivery firm. Fire just installed and looks good. I have had this stove for almost a year now and what a great little stove. The people who moan about this stove don't know how to run it. It lights well and burns well and its so warm. overall its a brilliant little stove and I recommend it. not used it much because of good weather. installers had no problems and looks to be what we need. The stove is fine - what I have a problem with is the fact that you delivered it to the kerbside with no prior notification, despite your website stating that it would be delivered at a suitably arranged date and time. We had arrangements in place for getting it into the house, based on being given notice of the delivery. Because there was no notice, we had a terrible time getting it in. I am still awaiting acknowledgment of my email to you about this. Gr8 Fires Reply: Sorry your delivery didn't go well. Our carriers do not call to book in as standard however we can get customers a consignment number and a depot telephone number should you wish to contact them prior to delivery, however there is no way of automating this info at the moment, but is something we are looking at. We are very happy with the stove and GR8 Fires. This stove is Small but it lights very well and is slow burning. logs need to be cut small. overall i'm very pleased with the stove. It does a great job of heating the fireplace, pity about the rest of the room. This inset stove is superb, well constructed, big glass front, very usable vents for controlling the burn and works well with both wood and coal, the latter I prefer, it burns so slowly! Excellent price too, delivery was prompt with everything well packaged. Overall I'm very pleased! Would like to give this company 10/ 10 fantastic on product , delivery and customer service , would Highly Recommend , Brilliant !!!! Summary says it all. Small fire which enabled us to have a stove without losing our victorian fireplace and surrounds. Lights very easily. Logs do need to be small so some extra work required there. Best lit about an hour before we sit down for the evening for best results but has saved us alot of oil over the last year. No real issues with smoke when opening the door but best not to burn paper. Cosy Autumn and Spring nights. Bought this stove because it does not require a flue liner, is a cheap and energy efficient alternative to an open fire and will be used mainly in autumn and spring so we can keep the gas off longer. Prompt delivery and arrived intact. Fits well into our unaltered 16" fireplace. Will use smokeless Homefire E-coal (bought in the summer when cheaper) so as to minimise dirtying of the glass, emissions and chimney sweeping. Wood would dirty the glass more plus the standard 200mm logs won't fit easily anyway. Our front room only requires 2.9kW so this stove will cover this nicely and more, and it will pay for itself in a couple of years. We also have an original 1950s coal bunker which is lucky because many of the new metal bunkers are flimsy.